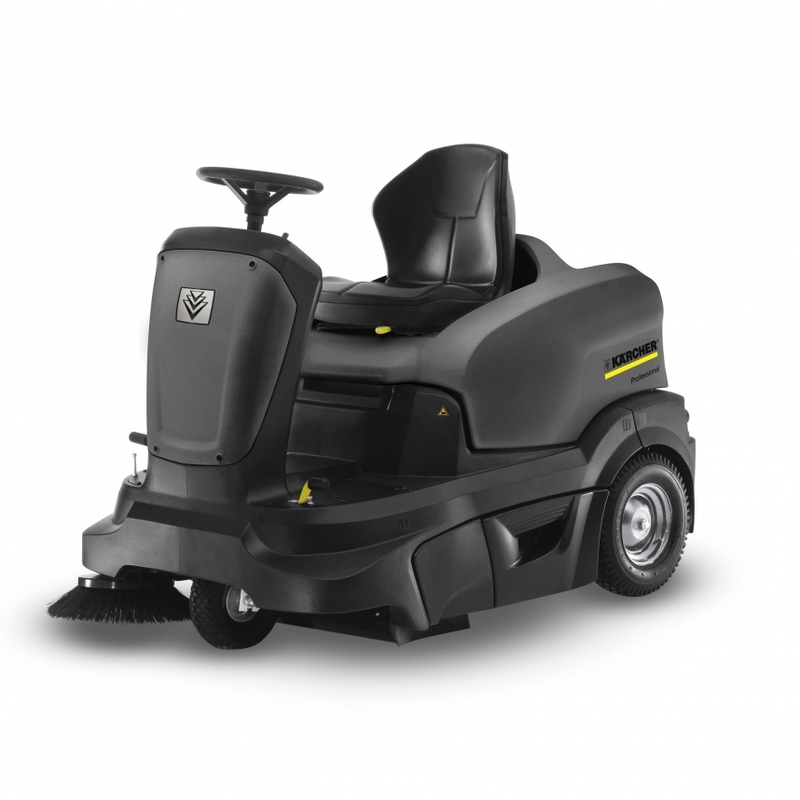 A compact ride-on sweeper for medium to large area cleaning, with Honda petrol power for convenient, economical outdoor use. All controls are clearly arranged and easy to access. The filter is automatically cleaned when the machine is switched off – for continuous low-dust sweeping for long periods of uninterrupted use. Ergonomic workplace with individually adjustable driver’s seat.